Topics: Business Priorities, Research, Further Reading, Accelerators, Industry Specific Solutions, and Compliance & Management Problems. Cnet Networks Inc. California is the location of the Apache/2 server. 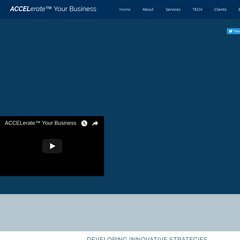 Accelerateyourbusiness.co.uk's IP address is 216.239.113.105. There are 2 Nameservers, ns44.domaincontrol.com, and ns43.domaincontrol.com. PING (216.239.113.105) 56(84) bytes of data.